Keto Fast-Track contains BHB (Beta Hydroxybutyrate). BHB’s are ketones that are produced outside the body (exogenous) but that work the same as ketones produced inside your body by the liver. We have added a perfect ratio of electrolytes to Keto Fast-Track to ensure good electrolyte balance with each serving. Keto Capsules: We have added MCT (Medium Chain Triglycerides) Powder to the formulation with each serving of Keto Fast-Track Capsules. Keto Fast-Track Capsules provide all that you need to fast-track your nutrition and achieve maximum results. 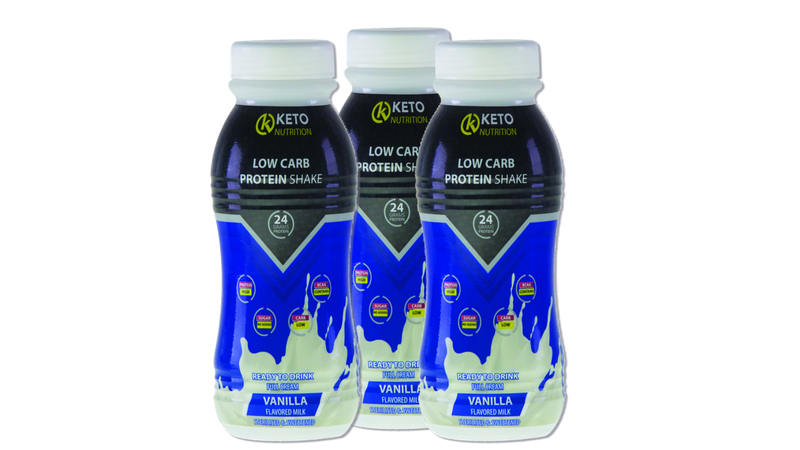 Specifically formulated to allow you to fast track your nutrition to a low carb strategy.Keto Fast-Track will allow ketones to be available to be used by your body and brain to avoid the energy dips and the well known ‘Keto Flu’. Using Keto Fast-Track allows you the time to make adjustments and refine your nutritional plan without the normal adaption time required to move from a high carb to a low carb lifestyle. Many people want to reduce their sugar and carb intake but struggle with the first three to four weeks when reducing their carbs, as energy levels can drop while your body increases fat burning rate. Use Keto Fast-Track daily to ensure your adaption to low carb is a positive energy filled experience. Keto Fast-Track can also be used to support your long terms strategy to boost mental focus, maintain blood glucose levels and sustained energy. Non-stimulant appetite regulator due to Ketones fuelling the brain. SUITABLE FOR DIABETICS. PLEASE CONSULT YOUR DOCTOR. 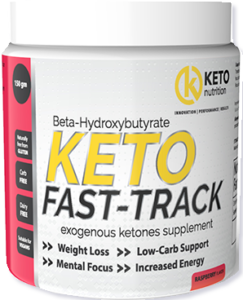 Keto Fast-Track contains BHB (Beta Hydroxybutyrate) which allows your body and brain to use Ketones, with all the benefits of increases energy, enhanced brain function, blood sugar control, improved insulin sensitivity and reduced food cravings. Within 30–40 minutes you could be in full ketosis depending on your diet and when you consumed Keto Fast-Track. It may keep you in ketosis for up to 3-4 hours. Ketones are arguably the preferred source of energy for the brain and are used efficiently to provide a feeling of focus and mental clarity. There are many reports showing a reduction in the mental decline of those suffering from Alzheimer’s, Dementia and Parkinson’s. Keto Fast-Track is a non-stimulant appetite regulator. This means no sudden drops in energy or adrenal fatigue often experienced with stimulants. WHAT DO EXOGENOUS KETONES DO FOR YOU ? Exogenous ketones are supplements and should be supplementary to a low carb/ketogenic style of eating. They will allow you to fast track your way from High carb to Low carb, or get you back into Ketosis if your diet falls by the way side. Ketones don’t cause weight loss, they help cause ketosis. Keto Fast-Track is a great tool to achieve your low carb nutritional strategy without a number of the difficulties often experienced and cause many people to not follow a low sugar, low carb lifestyle and all the benefits. HOW LONG DOES IT TAKE TO REACH NUTRITIONAL KETOSIS WITH FAST-TRACK? Within 30–40 minutes you could be in full ketosis depending on your diet and when you consumed Fast Track. It may keep you in ketosis for 3-4 hours. HOW DOES A KETOGENIC DIET HELP BURN FAT? When you eat low-carb and your body starts burning fat as its primary source of fuel, you’re essentially in a fasting state where your body is using your fat stores directly for energy. Those experiencing stalls in their weight loss or having trouble getting rid of unwanted fat can benefit from a ketogenic diet for this reason. MAINTAIN BLOOD GLUCOSE AND CONTROL CRAVINGS. When you’re eating a ketogenic diet full of healthy fats and proteins plus an abundance of vegetables, you experience more stabilized blood sugar. This is much better than traditional diet foods that are usually high in refined sugars and other carbohydrates, leading to a spike in blood sugar that leaves you feeling hungry again soon after. As you can see, those on a ketogenic diet have an advantage over other forms of weight loss because they increase the chance of maintaining weight loss, reducing cravings, and eliminating the need to stress and obsess over every calorie or food portions. FOR TRANSITION TO LOW CARB AND MAINTENANCE OF A LOW CARB DIET. When your body transitions from using energy from carbohydrates to ketones, there can be a lot of nasty and unwanted side effects. These include low energy, bloating, irritability, headaches, and fatigue. This is because your body is “in between” burning carbs and burning ketones and hasn’t become efficient at burning ketones and producing them from your fat stores yet. The good news is that you can use exogenous ketones to bridge the gap. While your body is getting used to using ketones, you can supply it with energy to eliminate all of these nasty side effects where it otherwise would be struggling to find efficient energy. HOW DO I GET THE BEST RESULTS WITH FAST-TRACK? To get most benefit we recommend a lower carb (less than 100g/day) or ketogenic (less than 50g/day) diet. Tracking the Ketone levels of Justin Strout while using Keto Fast Track. Ketone levels after breakfast but before taking Keto Fast-Track. In early state of nutritional ketosis. In just 40 mins, A significant increase in blood ketone levels. A ketone level above 2mmol/l indicates an abundance of ketones in the blood stream ready to be used by the brain and body. 2 hours post taking Keto Fast-Track blood ketone levels hit their peak with a blood ketone level of 3.4mmol/l. No lunch was eaten and no energy dips or hunger experienced. 4 1/2 hours after drinking Keto Fast-Track blood ketone levels are significantly elevated. Endogenous ketones (made internally) would be supporting the exogenous to maintain this high ketone level, with the benefits of high energy, mental focus and no hunger despite no food. This product works & does exactly what it says on the tub I have lost 5kg’s in the first month! With it I get the quick energy burst I would have gotten from sugar or carbs in the past, and the best part is that there is no crash afterwards! The price of the product is also very reasonable compared to other products on the market and the best part of it all is that I am supporting a local company. 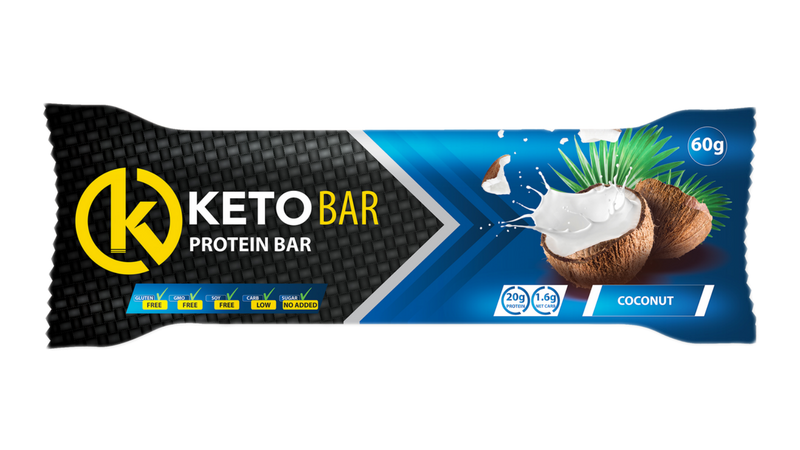 Keto bars have been formulated with the Athlete in mind, 20g of Protein, NO added sugar and NO soy or Gluten, our bars can be used anytime before during or after exercise. Perfect post exercise protein shake with NO added sugar, 24g of protein, loaded with BCAA’s your body will thank you and recover faster, ready to take on the next day. 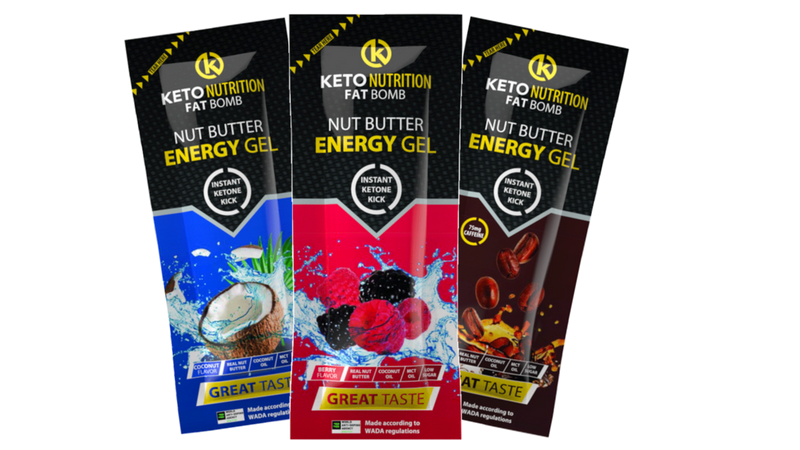 Keto bombs deliver a large boost of Ketones in the form of a nut butter gel. NOT ONLY FAST WEIGHT LOSS BUT LONG TERM CHANGES TOO. When you lose weight using a Ketogenic low-carb approach, not only do you lose the weight in the short term but the changes in your nutritional approach will have positive long term effects, to ensure life long weight maintenance. This is achieved by altering the concentrations of hormones and nutrients that affect hunger, like insulin and leptin. It’s no wonder ketosis is the perfect strategy for weight loss. The reduced feelings of hunger and food cravings means you can better listen to your body’s true hunger signals without worrying about counting calories or going hungry. The quicker you teach your body to use ketones (fat) the faster you enter this state of being ‘freed’ from the hunger pang that promote poor eating responses. Do you have more questions. get in touch with us Today! Take the first step to FAST-TRACK your weightloss goals. Join our mailing list to receive our FREE 7 Day Meal Plan PLUS our FREE Beginners Guide to Keto, as well as a discount coupon for your first purchase from our online store. Your meal plan is on its way, and don't forget to make use of your online discount.